Kelly Wearstler. Among some of our friends you either can illicit sighs of admiration or exasperation when you mention her name. A self-made designer who has the good fortune and talent to cultivate a style that is absolutely all her own. This distinct, maximallist aesthetic has had her venture from designing hotel interiors, furniture and accessories, author and most recently into fashion. Personally, we love her even if her look is a little too much at times but the unique quirkiness and singular vision is pretty admirable. 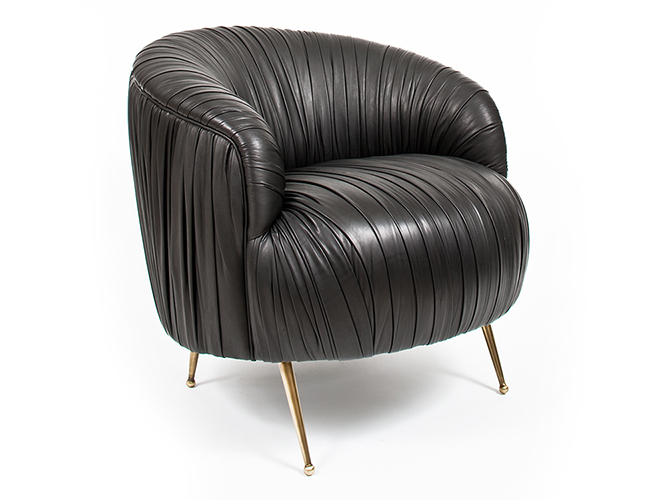 A great example of this is her iconic Souffle chair shown in black here but also available in vibrant colours to make it that much more unusual. Like most of her designs, this is odd but tasteful. Take a look through her website for all of what she does and if you get hooked, click the link to her blog in which she shares her inspiration and process.